Definition at line 444 of file CCopasiXMLParser.h. Definition at line 451 of file CCopasiXMLParser.h. Definition at line 1264 of file CCopasiXMLParser.cpp. Definition at line 1269 of file CCopasiXMLParser.cpp. 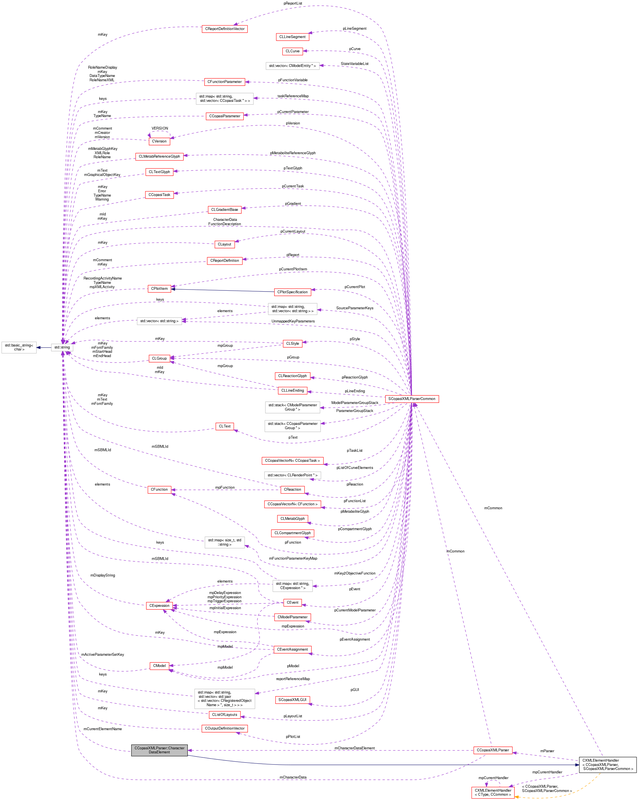 Definition at line 1295 of file CCopasiXMLParser.cpp. 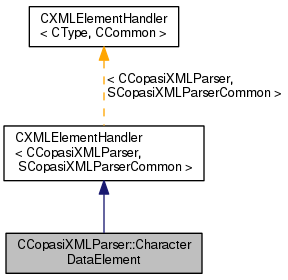 References SCopasiXMLParserCommon::CharacterData, CCopasiMessage::EXCEPTION, CCopasiXMLParser::mCommon, MCXML, CExpatTemplate< CExpat >::mParser, START_ELEMENT, and UNKNOWN_ELEMENT. Definition at line 1272 of file CCopasiXMLParser.cpp. References CExpatTemplate< CExpat >::mParser, and UNKNOWN_ELEMENT. Definition at line 484 of file CCopasiXMLParser.h.